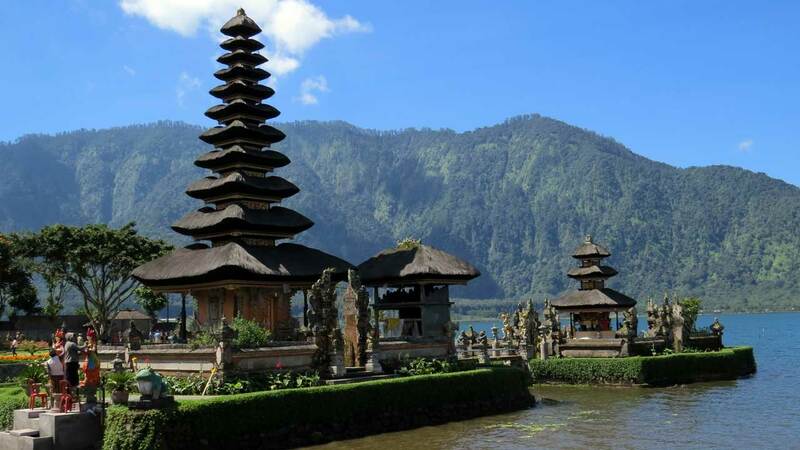 Embrace the culture of Bali on our Kintamani tour. Join our fascinating tour of Ubud’s sacred monkey forest sanctuary – Mandala Suci Wenara Wana. 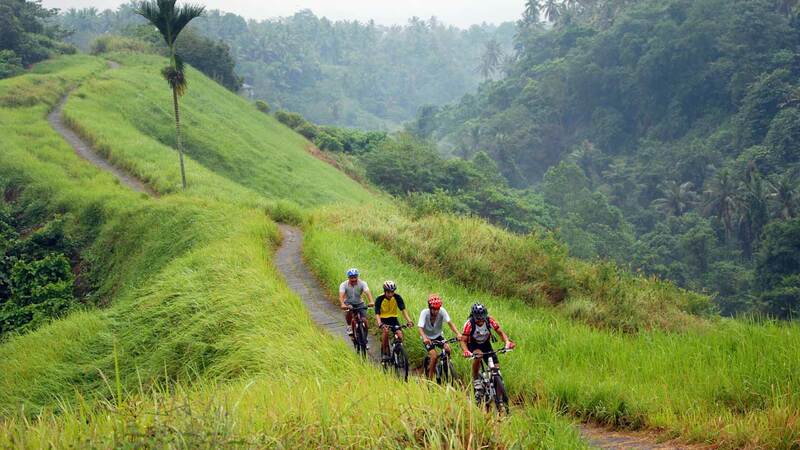 Take a scenic walk through authentic Balinese countryside dotted with traditional villages and rice paddies. Explore the beautiful lush green terraced rice fields of Tegalalang. 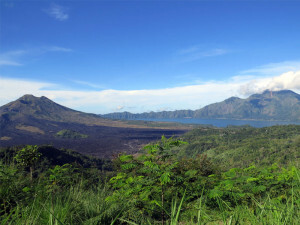 Visit the volcanic region of Kintamani – highlighted by the gigantic crater of Mount Batur and Bali’s largest reservoir, Lake Batur. Take a walk through a tropical plantation – fruit trees, exotic plants, and a coffee workshop await you. Taste one of the world’s most expensive and unique coffee luwak coffee. 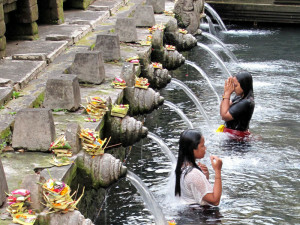 Visit the 10th-century Tirta Empul – Bali’s holiest temple – featuring a holy spring where Hindu worshippers perform spiritual cleansing ceremonies. 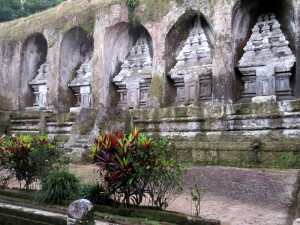 Discover the history of Pura Gunung Kawi’s royal tombs nestled in the walls of Bali’s oldest archaeological site. 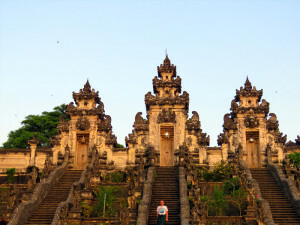 This site dates back to the 11th century and overlooks the picturesque Pakerisan River valley. (Optional) experience the final frontier of Trunyan, the reclusive settlement of the island’s indigenous Bali Aga community. 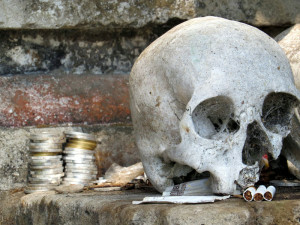 Visit the mysterious graveyard where ancient rituals dictate that the bodies of the dead are left unburied and in the open. Sampling a range of unique Bali teas and coffees at the plantation (excluding Luwak coffee). Your Kintamani tour starts with a visit to Mandala Suci Wenara Wana; the Sacred Monkey Forest sanctuary. A lush patch of jungle in the heart of Ubud, home to several hundred long tail macaques and three temples devoted to holy bathing, death and cremation. Monkeys are revered in the Balinese culture; their importance is reflected in dances, stories, statues, carvings and folklore. 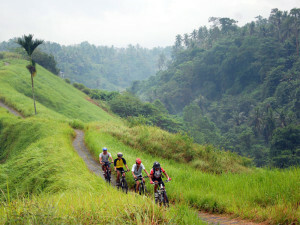 You will then take scenic passage through the authentic Balinese countryside with traditional village structures, houses and small rice paddies, followed by a short exploration of the beautiful lush green terraced rice fields involving subak (old Balinese cooperative agriculture and irrigation system) in Tegalallang before driving through the winding hilly roads to the Kintamani region of volcanoes with an elevation of 1450 meters above sea level. 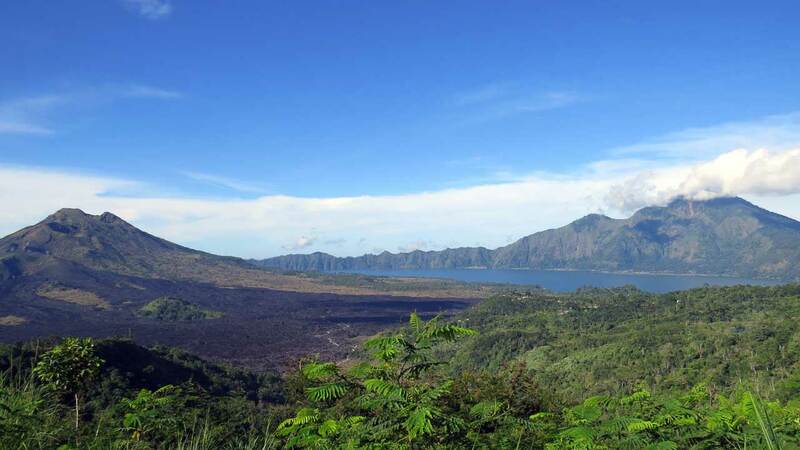 The journey will lead you around the edge of Mount Batur’s gigantic crater (its surface equals approximately 138 square km) and then descending to its very bottom to the shores of Bali’s largest reservoir, Lake Batur, the primary source of fresh water for rice paddies. The narrow and bumpy road ends at one of the few remaining settlements of Bali Aga, the very isolated and reclusive Trunyan tribe, where you will be transferred by paddling boat to the famous graveyard, where the ancient ritual with the open burial of dead bodies in flat pits under small bamboo shacks is still being practiced. Time for a buffet style lunch which is served on the picturesque terrace perched on the crater rim of Mount Batur, overlooking the volcano vista in its full glory. After lunch you will take a walk through a tropical plantation, with diverse fruit trees, exotic plants and coffee workshop. Here you can sample different unique teas and coffees and an opportunity to taste arguably the most expensive unique coffee in the world – Luwak (made from the beans eaten, digested and defecated by Asian palm civet). To give you a taste of Bali’s religious culture we include a sightseeing tour of the Pura Tirta Empul temple, where Balinese Hindu worshippers have been drawn for more than one thousand years to its sacred gushing spring which is routed through 33 spouts into the rectangular pools. 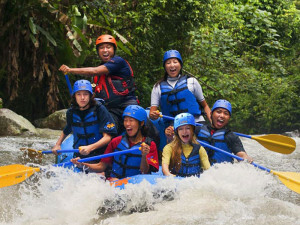 Ending your Kintamani tour you will venture down into extremely picturesque valley of the Pakerisan river, which hosts the oldest archaeological site in Bali, the royal tombs of Gunung Kawi, dating back to the 11th century, featuring 9 monuments (candi) carved into the sheer rock, dedicated to the king Anak Wungsu with his 4 wives and 4 concubines plus a small complex of hermitage caves for meditation.